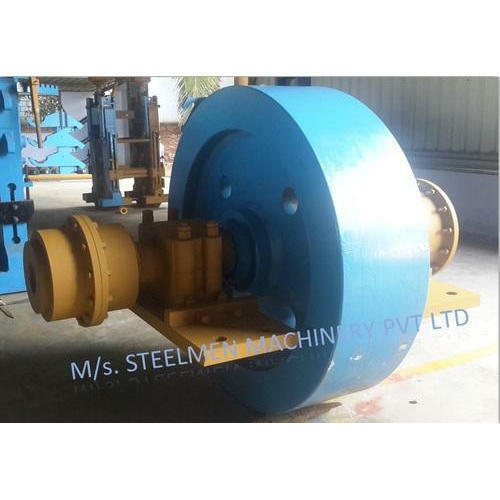 To serve the requisite requirements of our precious customers, we are engaged in providing a qualitative range of Fly Wheel. Established in the year 1990, at Coimbatore, (Tamil Nadu, India), we “Steelmen Machinery Private Limited”, are indulged in manufacturing, retailing, importing, exporting and wholesaling a wide range of Shearing Machine, Billet Charging Grate, Mechanical Pusher, Mechanical Ejector, Conveyor Rolls, etc. Under the excellent direction of our Mentor “Nelson Joseph (Managing Director)”, we have attained a renowned position in this highly competitive industry. We export our products to Africa, Europe and import from Italy.